Join us for this fun and relaxing GLSPS event! 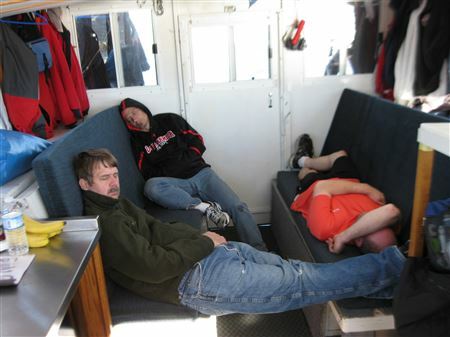 Most project participants arrive Friday (August 26) evening and sleep on board. (First come, first served for bunk location!) 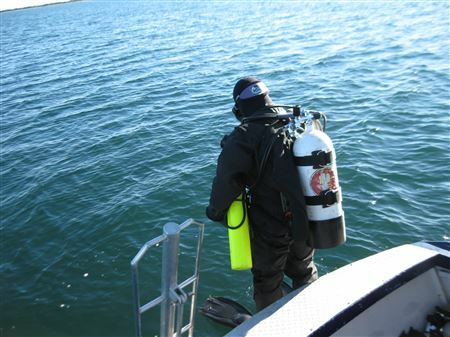 If enough participants are willing and able, a Friday evening dive on the Hesper can be arranged. Saturday, August 27, after breakfast on board, departure from the dock is 9:00 AM sharp! Since this is a “fun” dive project, departure is a little more relaxed than a typical work project. 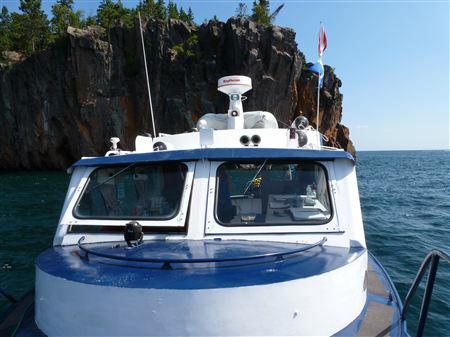 Generally, we can get 2 or 3 dives on the Madeira, and/or a dive under Split Rock Lighthouse. Lunch is served on board and tanks filled between dives. 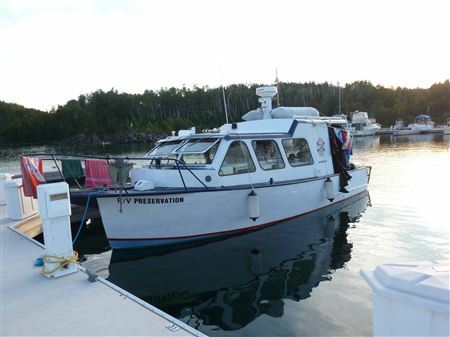 This year, instead of a third dive at the Madeira/Split Rock Lighthouse, we’re looking at stopping on the way back to the marina for a dive on the Charlie Anchor. 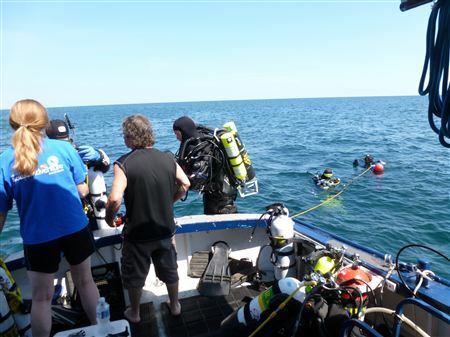 This will be a mix of wreck diving and lake bottom structure diving. Supper Saturday night is “on your own” with the group at a local restaurant. We have had campfires on the shore at the marina. Sunday morning, August 28, comes early as we head out and around the breakwater to the Hesper. This wreck is well protected so we can get 2 dives in before heading back to the dock to clean up the boat and head back to reality. Thank you to all that participate in this project. We hope you have fun learning about GLSPS Projects and procedures. Hopefully, you will be able to participate in a future GLSPS Project. Crew: Phil Kerber (Captain), Jack Decker (Event Leader), Jim Christenson, Chuck Eddy, Bob Frenchick, Tim Pranke. This is a continuation of the GLSPS Board of Directors desire to encourage members that haven’t participated for a while, or not at all, and new members to participate and meet other members. To that end, we had 2 brand new members on board: Chuck Eddy and Bob Frenchick. We did 2 dives, Saturday, on the Madeira. Tim was exploring and practicing Underwater Archeology documentation on some frame members. Wave action was light that afternoon; so, we dove around the base of the Split Rock Lighthouse cliff. We actually swam into several of the caves and swim-throughs. Even though a light drizzle was falling, we managed to get a fire going on shore and have S’mores. Sunday, we motored the mighty R/V Preservation out and around the Silver Bay Marina breakwater to the wreck of the Hesper. We did one dive here. Jerry Eliason asked us to do some photo work for him and loaned us 2 of his specially rigged cameras. Tim and Jim used these cameras to help fill in some blanks of Jerry’s photomosaic work on the Hesper. Bob and Jack found a deer carcass at the break wall.